Building blocks are not just for kids! Sales people need them now more than ever. Let me expand and explain. As sales people we are told to “just go sell”. Get more face time with our clients. Understand what they need and then deliver it. Simple, right? From that single perspective yes it is. And once upon a time that worked. In the world of the complex “solution” sell of today it is no longer effective, and it never really was what the best of the best did in any case. The very best “sellers” have always had a lot more internal knowledge and intellectual curiosity, and just plain cared more than the average bloke. And it showed. When the CEB published The Challenger Sale they did not invent a class of person that rose to the top. Their research simply identified a selling style that firmly and totally existed already. This selling style was the best combination of attributes that marked the best producers. What the CEB team did was label things clearly and define them accurately so that we could finally figure out how to search for, find, hire, and enable more of what we wanted in our teams. As we hire for attitude and train to teach, tailor, and take control, we also find that the new normal in the co-creation and delivery of insight with our clients requires that our team have a total and detailed understanding of all of the elements of business as the client sees it. A real understanding of our company’s strategy (and it is not $ related), which requires a clear understanding of where we will play, will not play, and how we will win. A well-defined picture of what our world looks like many years out is needed to clearly paint a compelling and powerful vision. As we rise each day we need a very clear mission statement for what it is that we need to do that day to move closer to our vision. ONE thing, every day! Our actions each day have to be driven by key values that we hold near and dear to ourselves that we simply do not violate. Human values that are powerful and clear. Goals and outcomes in terms of strategic objectives have to be built to measure our movement in the direction that we choose. Skills in influencing, relationships, and conversation have to be continually honed and expanded. Our difference-making with our clients must be scalable, sharable, teachable, and valuable and built around solid process steps of prescriptive execution. All that we achieve, we achieve as a team. Preparation for everything is vital, execution is everything, and review of outcomes guarantees our planned success, so our view is summed up clearly as Plan/Do/Review… even at the most minute level. As any good builder knows the strength and stability of every tall building is its foundation that it is formed on, its baseline building blocks. They must be solid and well-defined. 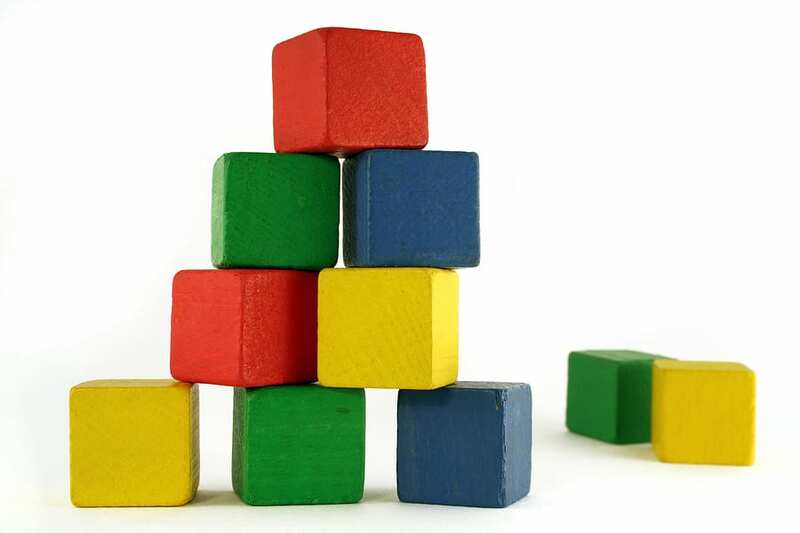 So must our knowledge of our own building blocks… ALL of them. To make a real difference with our clients we have to be experts at the client engagement process. The sales world that we thrive in today demands uniqueness, but only if we want differentiation from commoditization. And where once that was achieved by having the best products and/or services, it is now achieved by the sales professional and their approach to serving their clients. Now, more than ever our best sales pros have a complete grasp of all of the building blocks that are a part of the complex mosaic of today’s business. Building blocks are now for big kids… like me!